This event has now passed thank you for your interest and we hope we will see you next year! 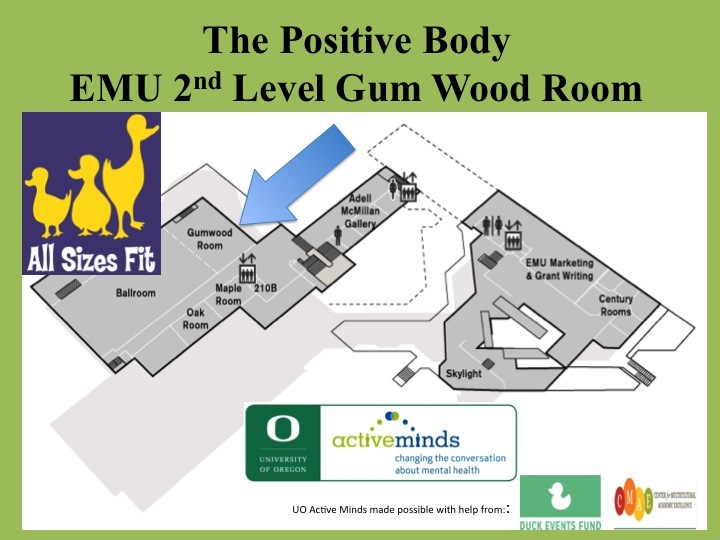 This month, a campus wide event called All Sizes Fit will be taking place to engage students in reflecting on issues regarding their body image. The purpose of this event is to promote the idea of “Health at Every Size (HAES). “ This philosophy encourages people to think about the diversity that comes in shape and size and that people of a range of different body types can be examples of healthy bodies. It is easy in the American culture to make assumptions that people of size are all unhealthy, eat too much, or never exercise. In a research study comparing a Health at All Sizes group approach to a conventional diet group approach, women in the HAES program showed increased intuitive eating, significant declines in LDL cholesterol and blood pressure, and reported increased energy in comparison to their counterparts in the conventional diet group approach (Bacon, 2008). 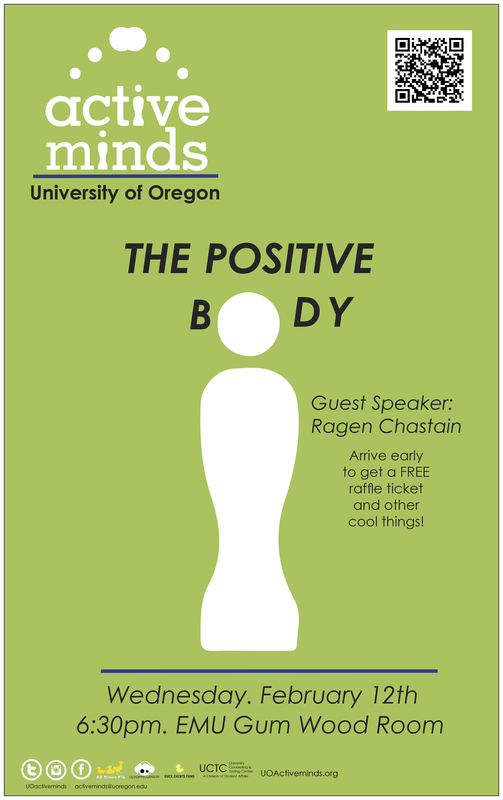 To promote messages related to the HAES research and philosophy, the UO Counseling and Testing Center is creating a week of events to encourage students to reflect on their body image and their health behaviors, working to create an environment that promotes acceptance of the diversity of body shapes and sizes. Learn more by clicking on the image! All Sizes Fit Week is brought to you by the UCTC a Division of Student Affairs at the University of Oregon! Join the event on February 12th!